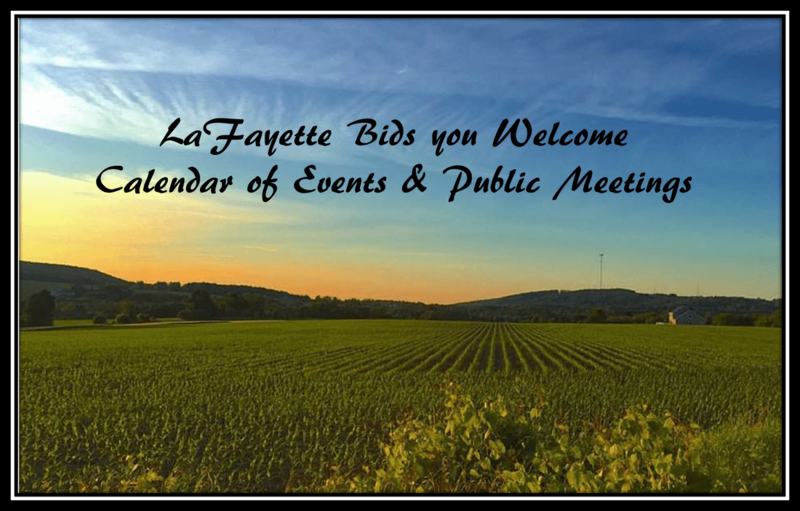 Please take notice that the regularly scheduled meetings of the Town of LaFayette Town Board will take place at 6:30 PM instead of 7:00 PM (vouchers at 6:00) for the remainder of 2019; May 14, 2019; June 11th, 2019; July 9th, 2019; August 13th, 2019; September 10th, 2019; October 8th, 2019; November 12th, 2019 and December 10th, 2019. 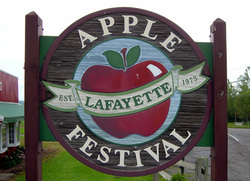 These meetings will be held in the Meeting Room of the Town Hall, 2577 US Route 11, LaFayette, New York. This notice is given for informational purposes, in accordance with the New York State Open Meetings Law and is not submitted as a “legal notice”.